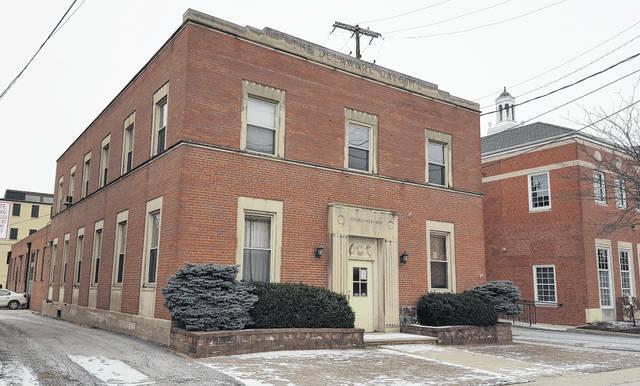 COhatch, a Worthington-based company that provides co-working space to its members, is attempting to work out a deal with the City of Delaware to occupy the first floor of the former Gazette building at 18 E. William St. Owned by the city and located next to City Hall, city officials have stated the plan is for additional city offices to one day be located on the second floor of the building. In a last ditch effort between the City of Delaware and COhatch to transform the former Delaware Gazette building into co-working space, both parties are in talks to add a third party into the mix — the Delaware County Finance Authority (DCFA). Doing so, however, will require more than just the city and COhatch. In his address to council, Davis said he wants to bring COhatch — a business that offers its members co-working space ranging from open desk space to private office space — to Delaware and has been willing to do whatever is necessary to make it happen as long as he can make the economics work. He added the DCFA, which he referred to as a “great tool,” could be the key to keeping the project alive. City Manager R. Thomas Homan stated he’s a proponent of the deal considering the impact it stands to have on the city. While details of the proposed lease agreement involving the building are still being ironed out, Davis addressed it with council. He added the DCFA has two tools in particular at its disposal that could help COhatch make the deal work from a financial standpoint. “The authority has the ability to waive sales tax for construction materials,” Lamb said. “This saves approximately 7 percent for the purpose of construction materials for a project. “Also, the port authority has the ability to waive prevailing wage requirements for certain projects. This can result in as much as an 18 percent savings for a company,” he added. As with every deal, if the DCFA were to get involved, it would have a few requirements of its own. Lamb said as part of the deal, the city would be required to transfer the building to the DCFA, which in turn would lease it back to the city so the city could sublease it to COhatch. Once all the terms are met, the property, after an agreed upon time, would be transferred back to the city. While several council members voiced their support of using all options available to make the deal happen, council member Lisa Keller expressed concern over a DCFA requirement. With no definitive contract details available to discuss, council asked city staff, COhatch, and the DCFA to put together a proposed three-party agreement that can be reviewed by council at a later date.